When it comes to our space-faring scope, the ambit of manned missions to Mars is often considered as the potential ‘holy grail’ achievement that could pave the way for human exploration and even habitation on alien planets. 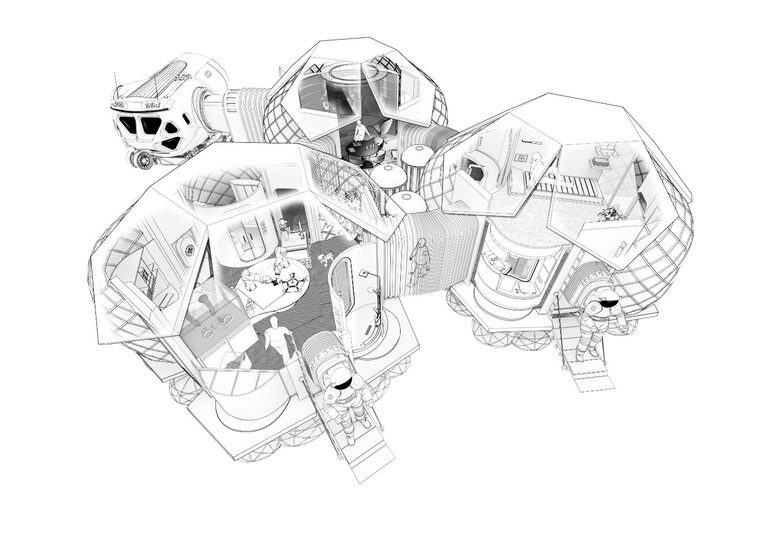 NASA’s recently-held 3D Printed Habitat Challenge also pertains to this future goal. 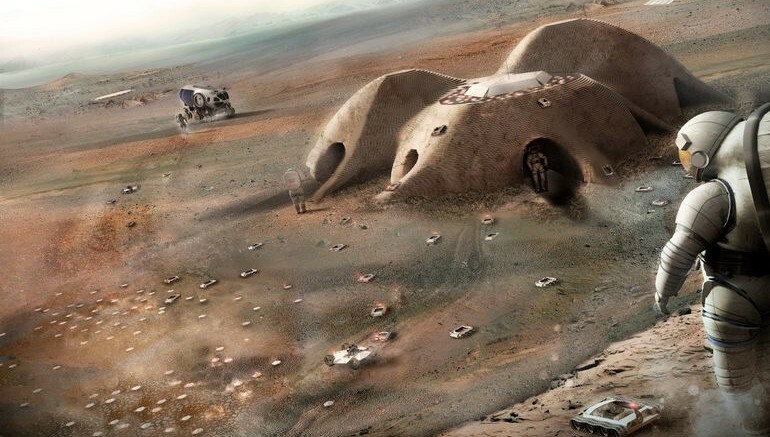 But of course, human habitation on Mars is not only about a house, but rather alludes to self-sustaining dwelling systems that are connected to transportation and storage-level infrastructure. So, without further ado, let us take a gander at six such advanced technology concepts that are conceived to aid the possible scenario of human habitation on Mars. Even in the light of reported presence of water in the planet’s ice caps, Mars still remains majorly inhospitable to life (of any kind). However, as usual, NASA is looking forth to a wholesome solution to this predicament, in collaboration with Indiana-based engineering firm, Techshot Inc. The resultant technological process pertains to what is known as ‘ecopoiesis’, a collective procedure that is depended on certain types of oxygen-producing organisms. In essence, the selected organisms can create a specific eco-system with ready supply of breathable oxygen, which in turn can sustain life and human habitation on Mars. To that end, the engineers have already constructed what they call the ‘Mars room’, an enclosed space that mimics the indigenous scope of Mars by simulating the alien planet’s native atmospheric and climatic conditions. And currently, the researchers are trying to infuse particular types of algae or bacteria (more specifically, cyanobacteria) inside this environment, in a bid to integrate organic ‘oxygen factories’. These microorganisms are envisioned to interact with regolith (a superficial loose material amply covering the Mars surface), which would result in generation of oxygen and removal of nitrogen traces from the soil. Since we talked about regolith in our earlier entry, famed architectural firm Foster + Partners, has developed an innovative version of a Martian dwelling that would utilize the surplus regolith on the Mars surface for its structural framework. Envisioned as being 3D-printed by an army of specially-equipped semi-autonomous robots, the 93 sq m habitats could totally eschew the need for cost of sending heavy building materials from the Earth. 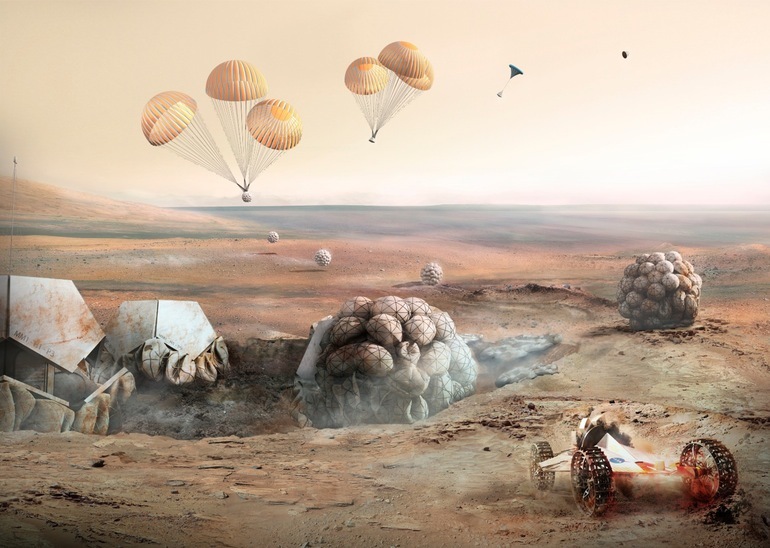 As for the incredible process itself, the construction of the habitats would be carried out by three variant types of automatons, parachuted individually onto the Martian surface. In the first step, a colossal group of robots, called “diggers”, would carve a 1.5-meter-deep crater on the ground. The actual structure would be built, by “transporters”, through a process called Regolith Additive Construction (or RAC). Finally, the regolith would be fused onto the shelter’s framework using microwaves beamed by a smaller clan of robots, known as “melters”. 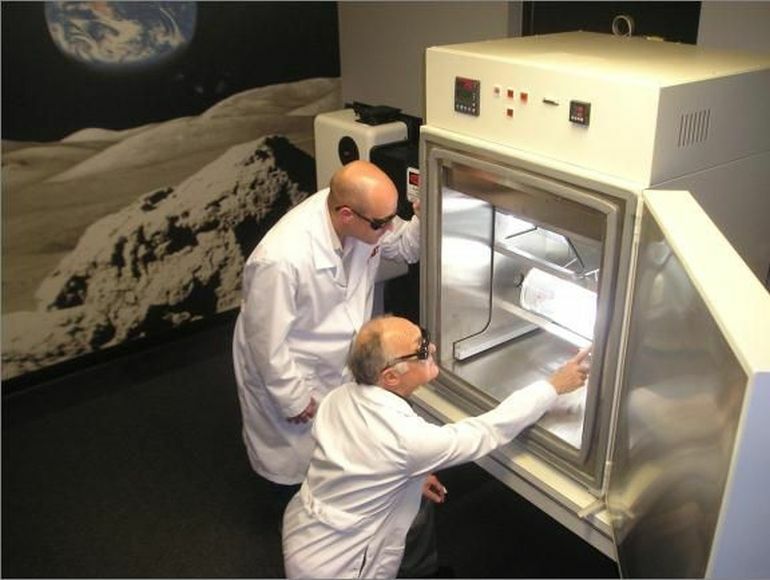 A group of undergraduate and postgraduate research students of the University of Southampton Spaceflight Society has developed a miniature, portable greenhouse that is capable of growing lettuce using Mars’ sunlight and atmosphere. 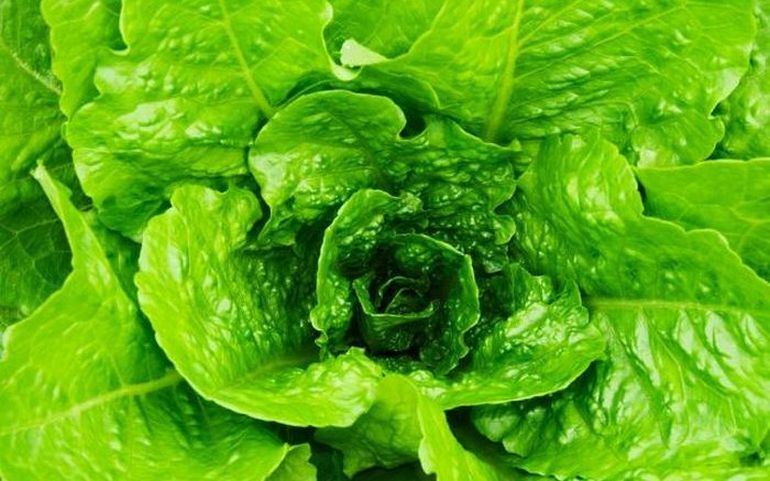 Their project was aptly christened as Lettuce On Mars, with the researchers’ primary aim being focused on cultivating crops by just using conditions indigenous to only the Red Planet. As a result, the scientists made use of variant components including – aeroponic systems, bio filters, low power gas pressurization systems and failsafe planetary protection systems, to create a special portable greenhouse for human habitation on Mars. Boasting an aircraft-grade, strengthened aluminium body, the entire system is shaped like a dome to mitigate dust particles. Furthermore it is encased inside a curved polycarbonate shell that will act as a shield in extreme Martian temperatures, while also protecting the greenhouse from direct UV rays. 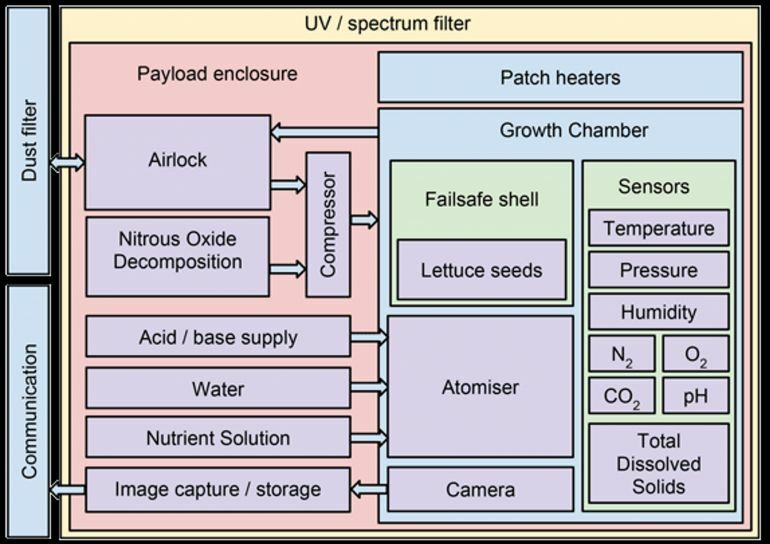 As for its crop-friendly credentials, the Lettuce On Mars includes advanced pumps that would artificially pressurize Mars’ extremely rarefied atmosphere, a heater, filters to prevent the entry of dust, and a set of LED lights. These lamps will facilitate the growth of the lettuces, by compensating for the lack of sufficiently bright sunlight on Mars’ surface. Additionally, the system will be infused with individual storage units for water, growth nutrients and pH balancing chemicals. Beyond just its core content, the scientists have also envisioned how the portable greenhouse will actually work on the Mars surface after its initial landing phase. To that end, first, it will be warmed to about 70⁰ to 75⁰F (21⁰ to 24⁰C) using the heating units, and then pressurized to optimum level. The air inside the greenhouse will be pumped with nutrient-infused oxygen and water vapor, produced through electrolysis. After the seeds have undergone the germination process, the growth of the plants will be tracked by means of on board cameras and sensors. And finally, once the experiment has been successfully completed, the in-built heaters will be turned up to the highest level, in order to kill and eliminate all living organisms present inside the greenhouse.